Thousands of Australians are searching for your product or services every day and this trend will continue to grow at an astonishing rate. 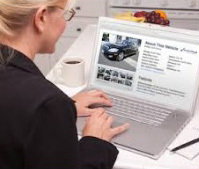 Now, 87% to 97% of the automotive shopper’s research online before even stepping foot into a dealership. We bought a new car in 30 minutes but we didn’t really buy a car in 30 minutes. 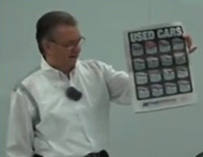 The transaction took 30 minutes, face-to-face with the dealer but the journey has been going for four months beforehand but it was all done online, we didn’t go near a dealership until we were ready to complete the transaction. Another industry that’s got huge potential is the real estate industry and I’m going to give you examples of the local real estate search traffic later. In fact, one of the local real estate agents told me that a few years ago, their car was their mobile office showing clients around properties and now their cars are hardly used, its mostly done online. This is where the traffic is and I’m going to show you how to find the traffic. Is where consumers want or choose to be engaged and Yellow Pages, the old dinosaur, who would have ever thought that this would become a dinosaur, this is dead. If you still advertise in Yellow Pages you’re wasting your money because it’s a waste of money, get a free listing but don’t do any more than that, regardless of what they tell you, even if they’re trying to put a package together with their website, don’t do it! 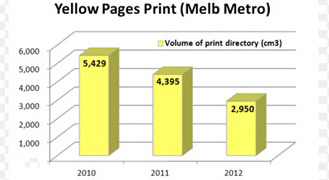 One of our local real estate guys is only getting 0.038% of his total online search results from Yellow Pages, a few years back it was the place to be to get great return on your advertising, but not anymore, it is dead! Ask yourself, when was the last time you picked up a Copy of Yellow Pages to search for something? And the real advantage for the smart business owner is that your business can be online and available 24/7 for your consumers and that presents massive, massive opportunities if you understand how to leverage it correctly. 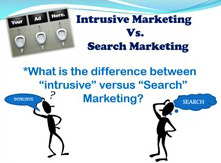 It is important to understand the difference between intrusive marketing versus search marketing. Your biggest budget spend should be in search marketing, which is a massive mindset shift for most business owners. These mediums are becoming dinosaurs, your traditional media is a shotgun approach blasting out to a wide audience hoping it may hit someone and at best their is only 1% to 3% are ready to buy now. With the same $17,000, I can go and spend it on building my online presence and guess what? It is their FOREVER! 24/7, ready to be seen by my customers when they are SEARCHING and ready to buy! !